Alcoa Home Exteriors which owns Alcoa Siding has just about one of the largest catalogues of vinyl siding available from any single brand. They appeal to the homeowner looking to exactly match the feel of natural wood surfaces, as they provide a massive range of options that allow you to customize down to the very grain of the wood. This guide will provide a rundown of the Alcoa siding experience, from their selection and offerings to the price– and what homeowners who’ve used them think, too. 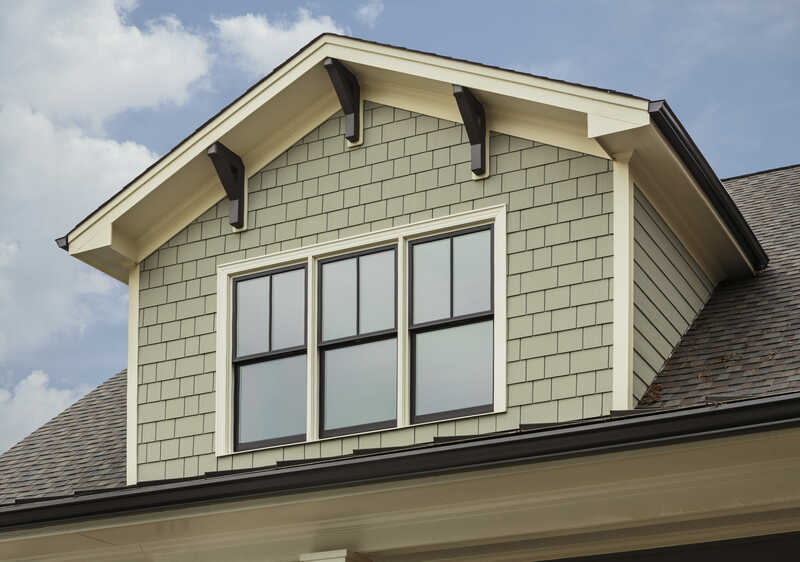 Alcoa has offerings for just about any style siding you could want– an insulated option, clapboard, vertical board, and shingle-style siding as well. Their selection of insulated vinyl siding particularly is very appealing since many manufacturers offer few styles with insulation. They carry a wide variety of products that have been crafted to mimic historical exterior claddings. Everything from Carolina beaded board to Dutch lap panels can be found among their collections. One of the major selling points of Alcoa siding is that there is no singular look that seems to be the dominant featured product while the other styles are mere afterthoughts, as with some siding manufacturers. If you are particular about small details, you will appreciate the care they take to provide an option for literally every kind of material, offering variations in joints, shadow, reveal lines, texture, and bead. Of course, with more choices come more decisions, but considering that vinyl siding is made to mimic natural surfaces, the attention to detail is appreciated. When it comes to color, your options will vary depending on what kind of siding you go for. For instance, the insulated collection offers a mere 15 different colors– mostly pastel and neutrals. However, some of the lap siding choices have upwards of 30 shades to choose from to accommodate darker and more unique color palettes. Alcoa boasts that all its sidings are made sustainably from recycled goods. They claim that some of their products are made of up to 80 percent recycled materials and that their plants rescue almost all scraps produced in manufacturing for reuse. Additionally, many insulated vinyl sidings are part of the ENERGY STAR program run by the EPA. That means that they’ve been reviewed and found to increase the energy efficiency of the homes that use them. Additionally, some of their sidings have obtained Green Circle certificates, which means they’ve been declared environmentally-friendly by industry watchdog group Green Circle Certified, LLC. Like almost all siding companies, Alcoa customers enjoy a lifetime warranty on their products. The warranty covers manufacturing defects and provides limited coverage for hail damage and fading. Limited is the key word here– the company won’t replace or reimburse for claims that it feels are subject to normal wear and tear or fading. Additionally, there may be even stricter restrictions for fading claims on the polymer cedar shake shingles. Alcoa is not unlike most vinyl siding manufacturers in that it does not recommend power washing its materials, which can make serious cleaning frustrating. However, it does advise using a garden hose and long-armed brush to make washing a little more convenient. For mildew stains, some ammonia-free clothing detergent mixed with water is the recommended solution. While prices vary depending on your area, overall Alcoa is a good mid-range choice. Generally, their products go from $4.00 per square foot for the most basic models to somewhere around $7.00 per square foot for the more elaborate options. Of course, additional options like trim, fascia, and soffit will bump up the final price of your purchase. Not all of Alcoa’s offerings have available product reviews, but the ones that do seem to score fairly well– in fact, the Cedar Discovery Perfection Shingle brand garnered an impressive rating of 90 from Consumer Reports. Like all vinyl siding, very high and low temperatures occasionally posed a problem, as vinyl is sometimes prone to warping and damage in extreme weather. However, their products also consistently earned lower marks for rigidity, or in other words, how flat the siding lay against the building. This is important because it’s what gives the siding the appearance of natural wood or shakes. Alcoa is a very solid choice if you’re looking for a lot of customization at an agreeable price, and especially if you are serious about achieving that classic wood architectural look. The manufacturers also have a positive environmental record and have demonstrated a fairly strong commitment to sustainability, making them a good choice for green-minded homeowners as well.